Gemalto has launched an integrated IoT module that offers a variety of connectivity options for manufacturers and integrators. 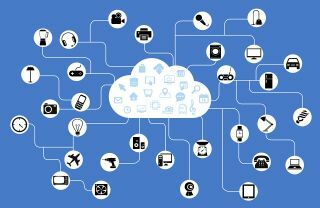 One of the areas that has been hampering the rollout of IoT has been standardized connectivity: the existence of a variety of 12 LTE bands (as well as different forms of cellular coverage) has meant various logistical problems. The Gemalto Cinterion PLS62-W IoT Module delivers LTE Cat1 connectivity on all 12 LTE bands as well as offering fallback to multi band 3G and 2G networks. This means that integrators are able to develop a single application that can connect anywhere in the world, regardless of the cellular network standards in the region. In addition to this, Gemalto has also included a Java embedded system in the module that has been designed to make it easier to build applications. It does this by sharing memory, a large library of existing open source code and recognized software building blocks. The module also contains a power management system and optimized sleep mode to preserve power, an essential element for industrial usage.